This series is designed to educate healthcare professionals on current and emerging scientific data so that they can make evidence-based decisions about screening and treatment for patients with non-small cell lung cancer (NSCLC). The goal of this series is to ensure that members of a multidisciplinary team, including physicians, nurses, pharmacists, and other relevant healthcare professionals, have the knowledge and skills necessary to apply the standards of care to their practices and healthcare settings for patients with NSCLC. This educational program is designed to meet the educational needs of oncologists, nurses, pharmacists, and other health care professionals who manage patients with non-small cell lung cancer. Apply into practice tools--such as risk factor algorithm, frailty assessment, geriatric assessment, and performance status--to assess whether older patients with NSCLC can tolerate certain therapeutic interventions. Assess the risks and benefits of therapeutic interventions in the management of older patients with NSCLC who are at higher risk for adverse events from therapy. This activity is supported by educational grants from Ariad, AstraZeneca, Ethicon, Foundation Medicine, Genentech, Lilly, Novartis Pharmaceuticals Corporation, and Pfizer. This activity is supported by independent education grants from Abbvie and Merck. National Comprehensive Cancer Network designates this live activity for a maximum of 1.0 AMA PRA Category 1 Credits™. Physicians should only claim credit commensurate with the extent of their participation in the activity. National Comprehensive Cancer Network (NCCN) is accredited as a provider of continuing nursing education by the American Nurses Credentialing Center’s (ANCC) Commission on Accreditation. NCCN designates this educational activity for a maximum of 1.0 contact hours. Accreditation as a provider refers to the recognition of educational activities only; accredited status does not imply endorsement by NCCN or ANCC of any commercial products discussed/displayed in conjunction with the educational activity. 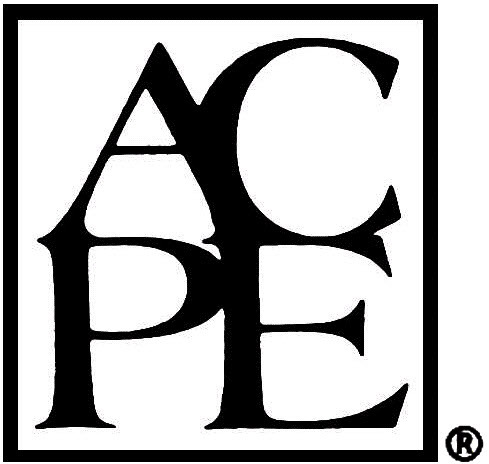 National Comprehensive Cancer Network designates this continuing education activity for 1.0 contact hour(s) (0.1 CEUs) of continuing education credit in states that recognize ACPE accredited providers.